ABOUT THE HOST – “But seek ye first the kingdom of God, and his righteousness; and all these things shall be added unto you. (Matthew 6:33)”. This scripture has proven to be the guiding principal for Lady LaShawn Demery’s spiritual walk. Fueled by her passion for hands-on service, she touches people in a way that leads to the introduction and or restoration back to God. Lady Demery contributes her spiritual heritage to her grandmother, the late Jimmie L. Davis and Metropolitan Baptist Church, under the leadership of Dr. H. Beecher Hicks. Her spiritual formation began as a child, when she was introduced to the Christian fundamentals which later served as the foundation that drew her to desire a relationship with Jesus Christ and to be of service to others. As a child, Lady Demery often recalls her grandmother and mother assisting others in need. Memories of servant-hood, love, and compassion profoundly impacted Lady Demery and shaped her views of ministry in the kingdom of God. During her early years of service to God, she was active on the Junior Usher Board, the Youth Choir, and the Sunday School Department. Her speaking skills were honed by participating in various oratorical contests; however, her passion for service was developed by visiting facilities for the elderly community. Her spiritual lineage continued under the leadership of Apostle James Silver and Bible Way Church of Washington, DC. Throughout her 21-year membership at Bible Way, she held many roles in support of her husband of 22 years, Bishop Ronald Demery, Jr., and his work in ministry. Bishop and Lady Demery, are the parents of three talented children: Aniya, James, and Autumn who are also actively involved in ministry. ABOUT THE FOUNDER – Jeanne Marshall answered the call of several young women’s request for Biblical teaching in a retreat setting. Led by God, she established the Bible Way Women’s Retreat in 1991 to include all women. The retreat is now known as the Maximizing Your Womanhood Through Christ Shut-In Conference. Her vast resume includes Licensed Short-Term Missionary. Jeanne has traveled in the continental United States, England, Africa, Jamaica, the Caribbean, China Burma, India, Indonesia, Thailand, Belize, Belgium, the Netherlands, Spain, Israel (Jordan), and Italy (Florence, Rome, Pompeii, Venice). Also, she serves as Field Missionary on her local church Missionary Board. She established and taught marital and biblical workshops, earning her the moniker of National Workshop Leader. Jeanne is a mentor to all women, walking out Christian values and Kingdom principles in everyday life. She can be credited with mentoring young adults through their spiritual journeys, marriage, and the role of clergy wife. Her gift as an open conduit has allowed the Lord to bring light to very dark circumstances. Finally, manages the Bible Way Bookstore, and serves on the Board of Trustees. Jeanne is the wife of Henry Marshall; with whom she has served in ministry for over 50 years. She is the mother of two wonderful adult children and proud grandmother of three. 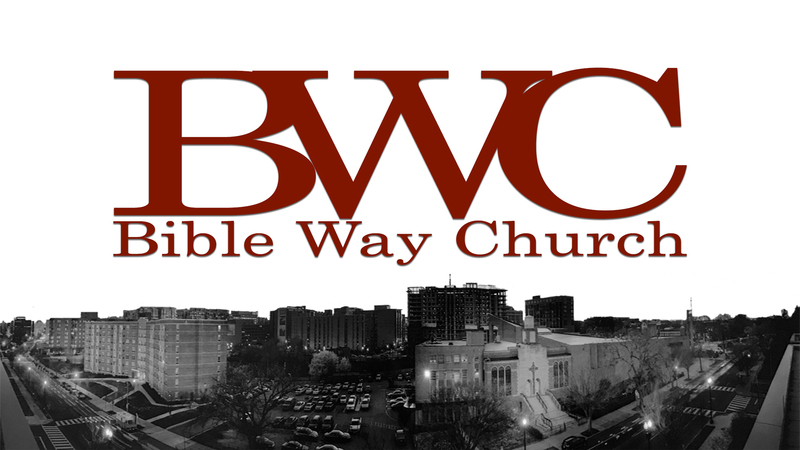 (MY-WTC) Maximizing Your WomanHood Through Christ is an Annual Women’s Ministry Retreat Conference of Bible Way Church of Washington, DC. The mission of this shut-in Conference is to provide a safe and sacred space for healing, restoration, renewal, deliverance and heart changing transformation. The conference unites sisters of faith and creates space for women seeking a relationship with Christ an opportunity to be introduced to His Loving presence. The conference also encourages like minded women of faith to soar in their Kingdom assignments. This weekend focuses on ministering to the mind, body, soul, and spirit through prayer, praise and intimate worship, biblical instruction and social engagement in a Christian and Holy Spirit filled atmosphere. For Over 27 years, this conference has reached hundreds of women throughout the United States. Personal testimonial journeys have included spiritual, mental, physical, and emotional healing and restoration. A Set Time for self-reflection and self-examination for inner healing and renewal. A Set Time to intentionally create space to revive the mind, body, soul and spirit. A Set Time of authentic fellowship, not a casual hello, but an opportunity to engage and be fully present with other Faith-Lived sisters in Christ. Double Tree by Hilton- 701 Penn Street, Reading, PA Double Occupancy: $383.00 per person Single Occupancy: $536.00 Six Meals Included. Bus Transportation: $45.00 Round-Trip *Please make checks payable to: “Bible Way Church”, write “Women’s Retreat” on the memo line. A non-refundable $65.00 deposit is due at time of registration. If you do not have an eMail address, may we text your confirmation information? 1100 New Jersey Ave. N.W.